This post is sponsored by Walmart and ShopStyle. 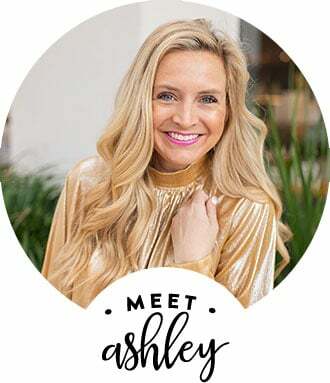 I love partnering with brands that I love and trust. Post ideas and opinions are my own. Happy Wednesday, friends! I hope your week is shaping up to be a good one! We are moving and grooving here, our pup, George is doing a lot better (read more here) and we are so thankful. Spring is here and all I can think is that summer will be here before we know it. One of my favorite winter into soring/summer looks, is a cute sweater with shorts. I just love the juxtaposition of sweaters with a short or a skirt. Do you? Have you tried this yourself? I’m excited to be back with Walmart this month to share more of my favorites from the #wedressamerica campaign. You can really consider Walmart a one stop shop. You can grab groceries and clothing, shoes and accessories for the whole family. I am especially loving all the little girl things lately and have Reagan totally stocked up for spring and summer! Back to my looks from today’s posts! These clothes are not only adorable, but they are awesome quality, which we all know is super key! 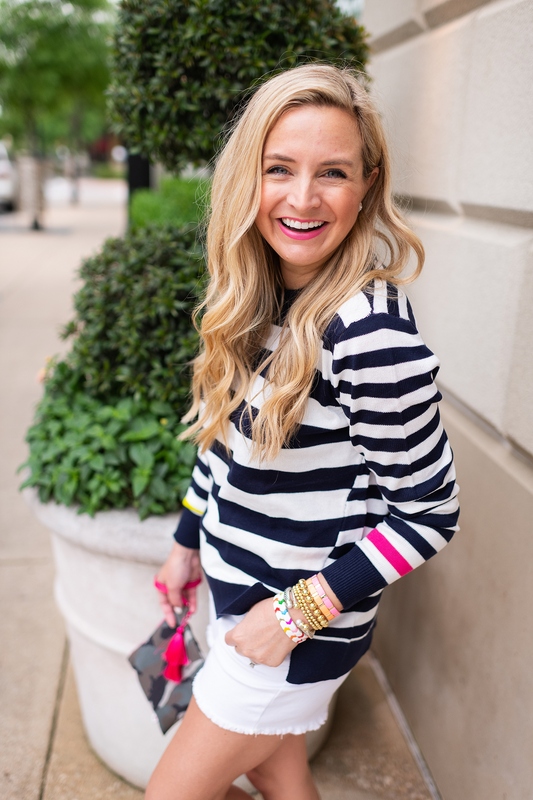 Today, I am sharing this fabulous striped spring sweater styled with this adorable pair of shorts. I must add that these shorts come in a regular denim as well and you better believe I grabbed them in all the denim colors! They are such a great weight! I have fallen in love with the EV1 brand at Walmart, like I just can’t quit it! The items are adorable, well made and I love that they can all be mixed and match together. 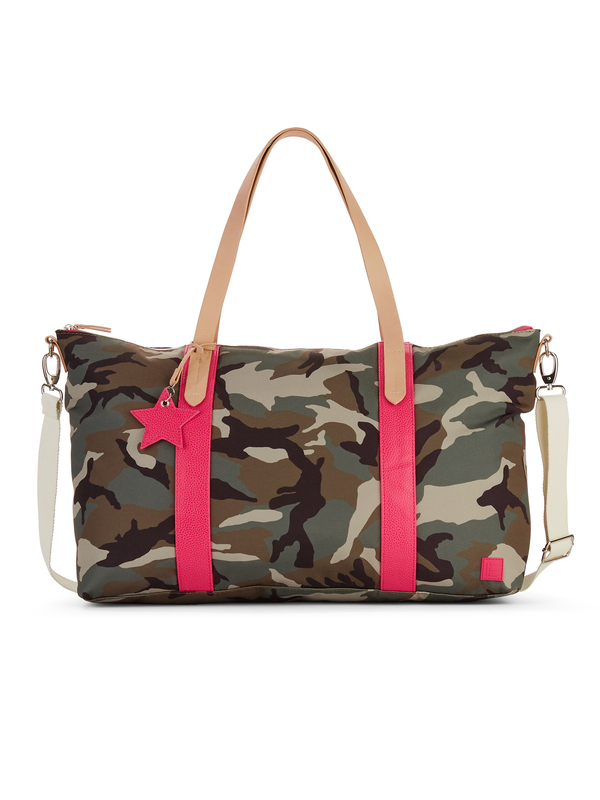 The pinks, navys, neon green and camo just have my heart and if you haven’t tried this brand yet, it’s a must! I also featured it in last month’s posts HERE and HERE! So, do you take your sweaters into spring like I do? PS this BAG is coming up in a future, but I wanted to give you a chance to grab it today in case it sells out! How cute is this BAG??! Have a wonderful day! XO! 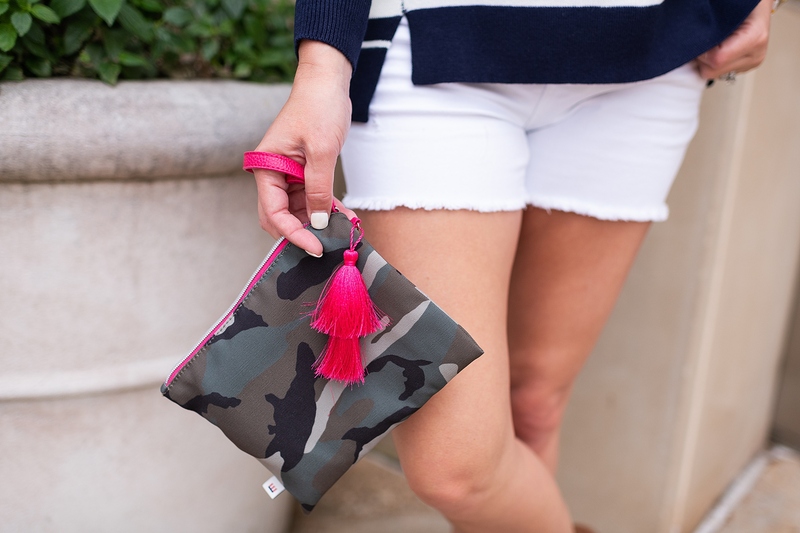 If you liked this post, you’ll love The Best Affordable Workout Gear for Spring and How To Take Camo Into Spring!